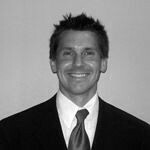 Daniel began work in financial services in 1999 and joined Brouillette in 2001. He got his Business degree from Gustavus Adolphus College and is licensed / certified in Series 7, 63 and 65, and life / health insurance. Daniel enjoys hockey, golf, and just about anything outdoors in Minnesota. He ran the Duluth Marathon for the first and probably last time in 2008.